The events were held in sports pubs in such cities, as Warsaw, Cracow, Wrocław, Katowice, Poznań, Lublin, Łódź, Sopot. In pub interiors you could feel the football atmosphere and watch a match in comfortable conditions. The organizers took care of not only typical football fan food, but also additional attractions, such as competitions for the best slogan supporting the "Polish eagles". A special attraction was waiting for Warsaw event participants, who were having fun in a pub in Łazienkowska St. no. 3. They went onto the football pitch turf together with a guide, who told them the most interesting stories related to the history of the stadium and Legia club, and they could feel like real footballers. 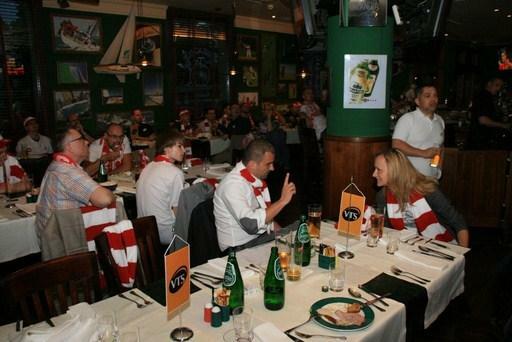 It is worth emphasizing that VTS Russia sales structures prepared similar events in Russian pubs, where everybody cheered the Russian team enthusiastically. Common cheering finished on 16th June, after the last match of the Polish team. 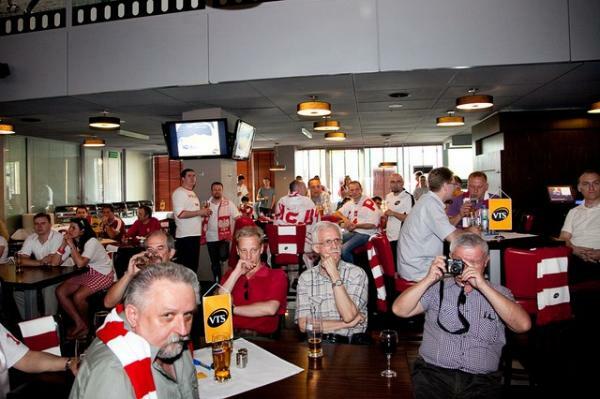 We believe that despite that defeat of the red-whites, the pub events participants spent some unforgettable time and experienced extraordinary football emotions.